The city of Los Angeles is still issuing tickets at parking meters that are cheating motorists, despite a new California law forbidding cities from ticketing at inoperable or broken meters, an NBC4 I-Team investigation has found. "I was angry. I put money in, I did my job, and I got a ticket," said Pete George, who got a parking ticket last month on La Brea and Second Street. George said he fed at least five quarters into the meter but it remained "expired." But he kept his car in the parking spot in good faith that he had the law on his side. "I knew there is a new law about not getting a ticket at a broken meter," he said. "I just don’t think the city is living up to the law that the state legislature passed last year," said California Assemblyman Mike Gatto, who authored the "Broken Meter Law" that went into effect Jan. 1. 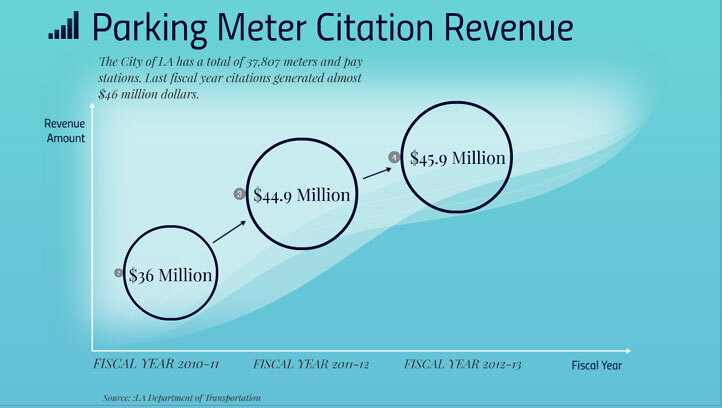 When the I-Team questioned the LA Department of Transportation (LADOT), which oversees the parking ticket program, it found the LADOT defines a "broken meter" differently than Gatto, and differently than many drivers. For example, the city claims the meter that ate up Pete George’s coins without giving him time is "malfunctioning" but not "broken." "It is one that is malfunctioning, but technically it is operable," said Ken Hustings, LADOT senior engineer who oversees meters. 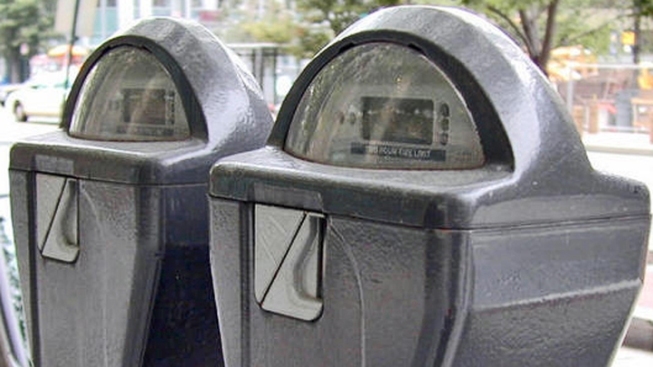 Since LA's newer meters accept coins or credit cards, if one payment function isn’t working but the other is, Hustings said the city considers the meter "operable." "Both the coin and card function has to be disabled before it is considered a broken meter," Hustings said. But Gatto -- the law's author -- said the city of LA is dead wrong. "Everybody knows that if a meter cannot accept payment, that it’s malfunctioning and that it’s broken," Gatto told NBC4. In fact, Gatto’s law defines a broken meter as one that "cannot register that a payment in any form has been made." And when a driver tries to a fight a ticket issued at what they believe is a broken meter, the process can be long and frustrating. When Pete George was ticketed on La Brea, he said a traffic enforcement officer told him to take cellphone video of the meter eating his coins, and send it in with a letter contesting the ticket. So George did just that, sending the city a DVD of his cellphone video. "When you look at the video, it shows the meter is not working," George explained. But two weeks later, the city of LA sent George a letter back, saying the coin-eating meter "was functioning properly," and his "citation is considered valid." The letter told George if he wanted to fight further, he’d have to first pay it in full and then request an administrative hearing to appeal his ticket. "The appeals process is clearly flawed. No integrity," George said. He decided not to fight, but instead to email NBC4 about his ordeal. So, the I-Team investigated. An LADOT spokesman, Jonathan Hui, admitted to NBC4 that the city never even looked at George’s video of the malfunctioning meter, before upholding his citation as "valid." After repeated questions from the I-Team, the city finally looked at George’s video proving the meter he was ticketed at was malfunctioning, and dismissed the citation. "I think it’s unfortunate that the city is only trying to look good because of media involvement," George told NBC4. "If they want integrity from their citizens, they should give it as well," he added.